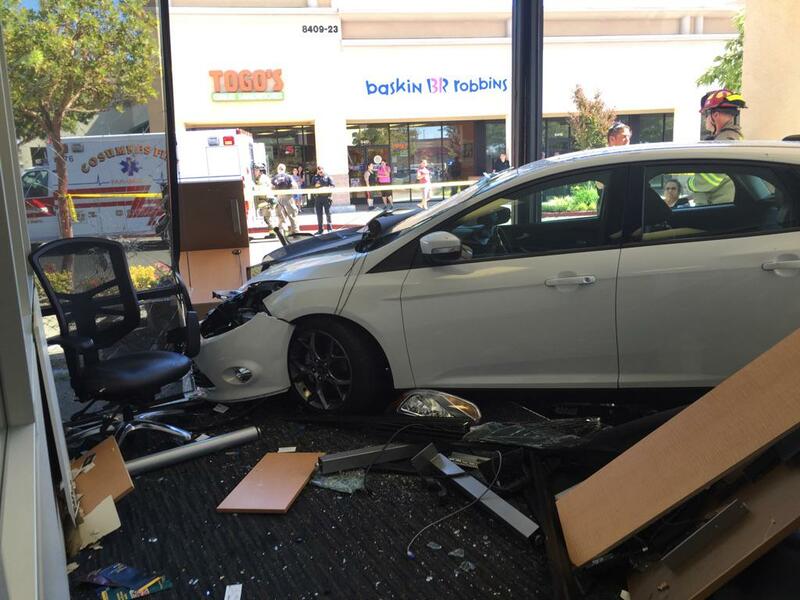 At about 1:25 p.m. on Monday, September 21, 2015, a motorist drove a car through a building on the 8500 block of Elk Grove-Florin Road. Witnesses standing in front of Togo’s and Baskin-Robbins had a very good view of the accident scene from their vantage point across the parking lot. The driver was just trying to park the car, but instead inadvertently crashed right through the building, according to the Elk Grove Police Department. The specific cause of the accident is currently under investigation. An employee inside the building received minor injuries. The driver and passenger, of the vehicle pictured above, were shaken up. Fortunately, they were not injured. With the holidays quickly approaching, parking lots are more congested, and people are busy trying to get all their shopping done. People are in a hurry and some shoppers get cranky. Inattentive or just really dumb drivers can really increase the chances of becoming injured in a parking lot accident. 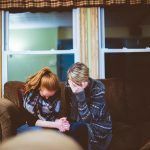 This can happen any time, as we see here, but increases tremendously during the holiday season. Please folks, keep your eyes focused on your surroundings. Keep those little ones close to you, because you never know when something like the accident reported here, might happen to you or someone you love. 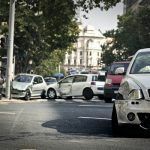 I’m Ed Smith, an Elk Grove Personal Injury Lawyer with the most informative accident and personal injury information website available – www.autoaccident.com. 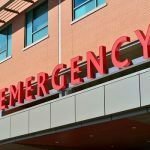 The Edward A Smith Law Offices has been handling auto accidents that occur in parking lots and other areas of Elk Grove for more than 30 years. 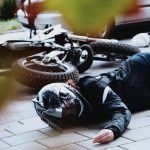 I am a top-rated vehicular, pedestrian, bicycle and motorcycle injury attorney. If you or a loved one has sustained a personal injury due to the negligence of someone else, please call me for free, friendly advice at no obligation to you. I can be reached at my Elk Grove office at: 916-694-0002. If you are calling from outside the Elk Grove area, you may dial toll free at (800) 404-5400. I have top notch reviews on Yelp and Avvo and Google. It is always a smart idea to check client reviews in advance. Follow this link to see a listing of the verdicts and settlements we have obtained on behalf of some of our clients. We are proud members of the Million Dollar Advocates Forum. This forum’s members have obtained multiple million dollar settlements for their clients. Even if you decide not to hire our law firm, we invite you to take a moment to learn how to choose the right personal injury lawyer for you.